A small-town bad boy, forged into a man in the fires of Afghanistan, returns home, still burning with a romantic obsession nothing can quench. As the fog lifts one morning, a lone soldier is walking home. Who is he? The sleepy, gossipy town of Hoosick Bridge, Vermont, has forgotten him, but it will soon remember. He is Roy Murphy, returning to face his violent, complicated reputation. Returning to Emma Herrick, descendant of Hoosick Bridge’s first family, who occupies its grandest, now decaying, house: the Heights. Their intense and unlikely adolescent romance provided scandalous gossip for the town. The young lovers escaped Hoosick Bridge, but Emma remained Roy’s obsession long after they parted. Now Roy returns from Afghanistan a changed and extraordinary man who will stop at nothing to obtain a piece of the Herricks’ legacy. 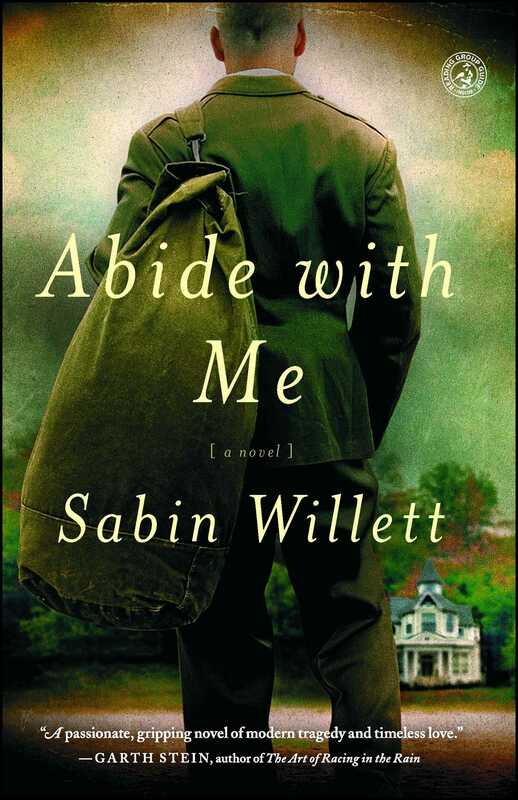 This reading group guide for Abide With Me includes an introduction, discussion questions, ideas for enhancing your book club, and a Q&A with author Sabin Willett . The suggested questions are intended to help your reading group find new and interesting angles and topics for your discussion. We hope that these ideas will enrich your conversation and increase your enjoyment of the book. Introduction Neither the fires of the war in Afghanistan nor the ongoing tragedy of life at the Heights can extinguish the spark ignited between Roy Murphy and Emma Herrick. In spite of their vastly different worlds, they are inextricably connected and unavoidably drawn into a hurricane of fatal attraction that will forever change everyone in its path. Inspired by Wuthering Heights, Abide with Me is an epic love story that will not let you go. 1. On page 38, the captain tells Roy Murphy: “Murphy, we’re not different. Where it counts, I think we’re the same, you and me.” In what ways are they the same? What qualities do they share? In what ways is this statement a theme throughout the book? 2. Which character do you identify with the most or like the most? What are some of that character’s strengths? How does that character change or grow throughout the story? Is there a fatal flaw? 3. On page 64, Emma Herrick says about Roy Murphy: “I followed him from Pine Cobble School in the fifth grade. I went down to the Hoosick in the seventh grade hoping he might be there. Why on my prom night am I still following him?” Describe why you think Emma keeps being drawn to Roy Murphy. In what ways are they similar? In what ways are they both orphans? 4. As a high school senior, Roy Murphy describes Juvie as one of the best things that happened to him so far in his life. What does Juvie give him that he never had? Has there ever been a situation in your life that you assumed would be punishing or painful but that ended up being an unexpected gift? 5. Describe the contrast between Roy Murphy’s brothers and his comrades at Firebase Montana. What at Firebase Montana creates a bond that becomes stronger than the one between blood relatives? 6. What role does poetry play in the life of Captain Dickinson? How is it both an appropriate and absurd part of life at Firebase Montana? 7. What does Roy lose when Captain Dickinson is shot? Describe the irony in the scene of the shooting. 8. There is much speculation about Roy’s motives for returning to Hoosick Bridge after his time in Afghanistan. Why do you think he came back? 9. What do you think the author had in mind by bringing together Roy Murphy, Emerson Rodriguez, and Emma Herrick as seventh grade friends? 10. Tom Herrick’s “personal vortex of avoidance” is something Emma is determined to change in her own life. Do you think she succeeds where her father failed? Have you ever vowed to forge a certain path after being disappointed or hurt? How did it work out? 11. What role does Izzy play? Given Roy’s seemingly single-minded focus after he returns to Hoosick Bridge, why do you think he allows her into his life? In what ways are they caught in the same struggle? 12. Describe Roy’s strategy of staying disconnected from people in the United States while in Afghanistan so that he can be “all there.” In what ways is this both beneficial and harmful? Did reading this story heighten your sensitivity to the trauma that soldiers undergo, both during their active duty as well as upon their return? 13. Describe the irony of the process by which Roy acquires the Heights. 14. How does Roy’s decision to “never leave one of the squad behind” affect you? What does it reveal about his character? Do you think someone who grew up at the Heights (as opposed to the Park) would have made the same decision? What would you have done? 15. Do you identify more with the Heights or the Park? What are the unexpected challenges and virtues of each? 16. How do you feel about the way the story ended? How has Emma changed? 1. Invite a soldier who fought overseas to visit your book club to share his or her experience of serving as a soldier and of reentering civilian life. 2. Read Wuthering Heights. Compare and contrast its characters and plot with those of Abide with Me. 3. Watch the Band of Brothers miniseries and discuss the impact, both positive and negative, that fighting in a war together has on the soldiers. What was the inspiration for writing Abide with Me? There were many. I wanted to write a serious love story—I had not done that before. Meeting young soldiers in Guantánamo triggered something in me, and some of the nights there found their way into episodes. The bowl of night, for example. The stars in Cuba are astonishing on a clear night, and I remember on a lonely night there being reminded of the first quatrain in Omar Khayyam—that in turn led me to picture a night in a mountain firebase, where a lonely soldier studies the stars. Williamstown, Massachusetts, suggested to me a look and feel of the Heights itself. Emma I created, but where creations like her come from, I can’t say. What character did you most enjoy developing as the story unfolded? It would be Emma, I suppose. I enjoyed them all, but it took time for Emma’s personality to grow for me from remote and numinous to real, injured, and determined. Who are some of your favorite poets? Do you regularly read poetry? I do love poetry. I recommend Fitzgerald’s translations of Omar to anyone—they are marvelous. I enjoy Wordsworth, Tennyson, Eliot. Recently I have come to know Derek Walcott. His Omeros is staggering. What compels you to advocate for the Uighur prisoners at Guantánamo Bay? I got into that case mainly because the idea of sanctioned torture was abhorrent to me, and the idea of a prison beyond law equally so. Once I met the clients, the injustice riveted me, and it became very personal. If you could make one change to the process by which soldiers reenter civilian life after returning from war, what would it be? I don’t have a good answer to this question. The transition to civilian life is too abrupt for most to manage, but I don’t know what would improve that other than a national resolve never to go to war except where there is an existential crisis. I think what bewilders many soldiers is the idea that their return is unremarked, just as their experience in the war was unimportant to the people back home. That may be the intolerable thing. Trying to get Afghanistan right. All kinds. History, biography, a good novel. When do you find time to write novels in the midst of your career as a lawyer? Time is never found—it has to be made. I find a daily discipline of writing—but not too much—is helpful. It’s been ten years since your last novel (Present Value) was published. Did you miss writing? Yes. From 2005 to 2010, I found that Guantánamo quite consumed my imagination. I believe I’m back now. When did you first read Wuthering Heights and how did it affect you? I read it in school. I found the characters compelling, and the idea that love could be a darker obsession stayed with me. Yes. At present writing I am just over halfway through Cornerstone, the novel that tells the story of how the Heights came to be built and follows the strange course of love between Ceda Garland, the brilliant, convention-breaking woman who would not come home, and Ezra Morse, who survived the Civil War, became rich in the age of railroads, and later built his mansion so that she might come home to him. 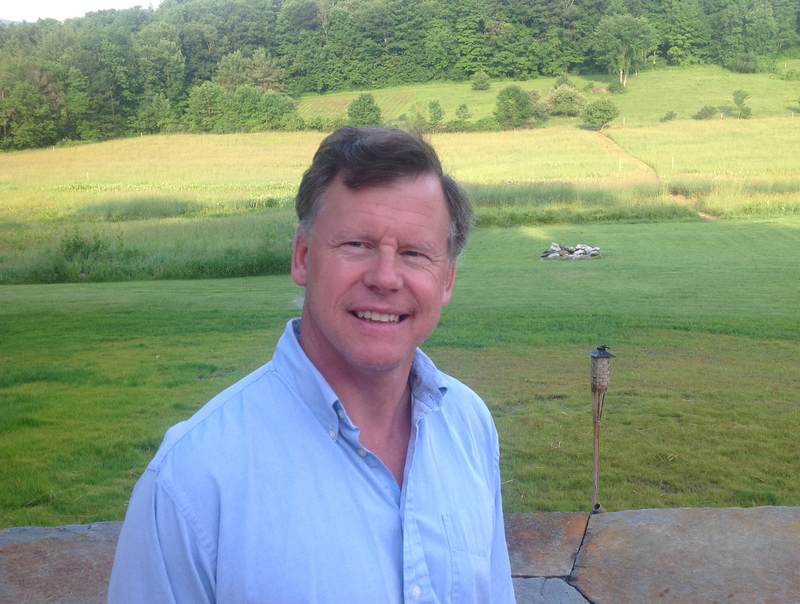 Sabin Willett is a practicing lawyer and the author of three novels: The Deal, The Betrayal, and Present Value. He lives in Natick, Massachusetts. "Willet's reinterpretation of Emily Bronte's Wuthering Heights adds a fresh contemporary take to a classic love story." “Fiercely authentic . . . Masterfully blending small-town gossip with the inner obsessions of a quiet veteran . . . this is a compelling read." "A darkly compelling and unsettling romance...gutsy and occasionall lyrical...An unforgettable character. An unforgetable book."